At Shelton Roofing Company we are committed to exceptional quality, integrity, fairness, and professionalism. We want to provide value to each and every customer. This includes educational advice and preventive tips. What is a roof flashing? This is a very common question from homeowners. Keep in mind that the main purpose of the roof is to be a barrier against the outside elements. And the main element is water. It is also the most difficult weather element to control. The roof flashing acts as the last line of defense against water. The roof flashing is simply a piece of sheet metal. Usually it is either aluminum or galvanized steel. It is positioned over joints where the roof and the wall meet each other. The objective is to prevent the water from seeping in between and running in to the house and causing damage. You can see how some sort of fault with the roof flashing can be a very common culprit of roof leaks. The general science behind roof flashing is very simple and hasn’t changed in hundreds of years. It works off of the basic principles of gravity. If it has been installed correctly, gravity will work with the roof flashing material to shield and guide the water on to the regular roofing materials. It is then directed harmlessly to the ground. You commonly see roof flashing around chimneys, fan vents, skylights, plumbing vents, etc. They are very simple things that have the potential to create very big problems. So now when you hear a roofing contractor talking industry jargon and often using the word flashing it will sound less like a foreign language. This has been a roofing tip brought to you by Shelton Roofing Co. It is another value that sets Shelton Roofing apart from the others. For over 70 years Shelton Roofing Co. Has been protecting hundreds of families and businesses from rain, wind, sun and storms that move across our region of California. We help you take care of your most valuable asset. We are your experience, professional and licensed local roofers in Palo Alto, Sunnyvale, and Menlo Park, CA. We are a residential roofing contractor and a commercial roofing contractor. 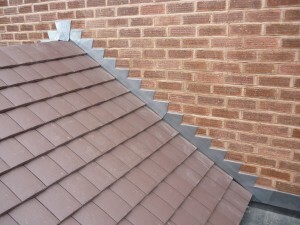 So whether it is a place of business or a residential home we can help with all your roofing needs. We specialize in New Construction Roofing, Roof Replacement, Re-Roofing and Roof Repair. And we are local and reliable in cases of Emergency Roof Repair. We deliver exceptional pride in our work, and consider every job just as if we were taking care of our own homes! We are also an environmentally friendly business. Our practices include installing energy-efficient roofs and recycling all the waste that is created during the roofing process. It is our hope to have the opportunity to demonstrate this to you. And prove the difference it makes when you choose Shelton Roofing Company Inc. For your residential or commercial roofing needs. Get a Free Palo Alto, Sunnyvale or Menlo Park Estimate. Don’t take the risk of trusting your roof to some other company with less experience. 70 years means we must be doing things right.